This year marks the 100th birth anniversary of Pakistan’s most beloved, progressive poet, Faiz Ahmad Faiz. Several events have been organized around the world to pay tribute to his rich poetic vision. Interestingly, this year is the 100th birth anniversary of another brilliant Pakistani poet, Ustad Daman, who happened to be a mentor of Faiz and was much revered by him. In fact, Daman also died the same year as Faiz - barely 13 days after Faiz’s own death in 1984. They shared their time of birth, their time of death, and a lifetime of poetic comradeship. While Faiz was unparalleled in his sensuously transformative poetry and surely needs to be celebrated, it is worth asking why poets like Daman remain unremembered in the Pakistani imagination. 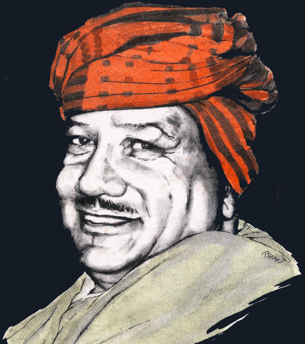 Ustad Daman’s real name was Chiragh Din, and he was born on 4th September 1911 inside the Lohari Gate in Lahore. His father was a tailor and his mother, a washerwoman. Unable to become a clerk like he desired, Daman became a tailor like his father and famously sang his own verses while stitching clothes. He first became a public poet through his mystical and anti-colonial recitations at the meetings of the Indian National Congress, and soon became known as the foremost progressive Punjabi poet of his time. The partition had a brutal effect on his life as apart from losing some of his Hindu and Sikh friends, he also lost his wife in Lahore in 1947. His house - containing his library and writings - was subsequently burnt down as he was seen as a traitor Congressman. He then adopted a more insular lifestyle, but his critical poetry flourished and he continued to participate in circles such as the Progressive Writers’ Movement and the Punjabi Adabi Sangat. In the tradition of Punjabi poetry that is direct and irreverent, searing yet playful, Daman took aim at the hypocrisies of both civilian and military leaders in Pakistan and even had to suffer imprisonment as a result. 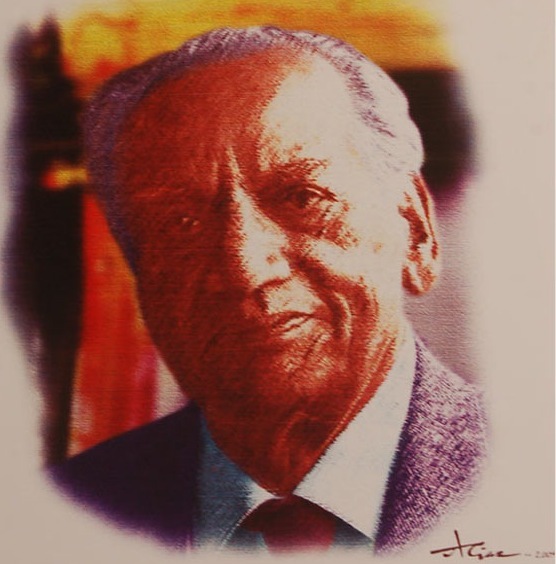 For his resolutely anti-establishment stance, Faiz declared him the Habib Jalib of Punjabi poetry. Chaarey passay faujaan hee faujaan. Wherever we go, armed forces stand. That you have lost, as we too have lost in this divide. You ride, and so too do we ride. But you died, and so we too died. You were hurled inside, as we were hurled inside. You kept sleeping, leaving care aside, we too left care aside. The redness of the eyes tells the tale. That you have cried, and so we, too, have cried. Clearly, the fact that Daman wrote in Punjabi instead of Urdu is a key reason why his poetry is not that cherished — institutional structures in Pakistan have rarely promoted regional languages and literature. But there are other reasons as well. Faiz published his writings in significant volumes, while Daman recited oral verses which were collected and published by his avid listeners. Faiz was often gentle in his critique, Daman direct and relentless. Faiz often held state positions and lived like an international intellectual, Daman more like a dervaish. The process of synthesis that Faiz talks about has received a commendable push through music initiatives such as Coke Studio and UthRecords. Regional poetry and melody made a significant mark on the national landscape this year, with outstanding songs such as Redi Gul (Pashtu), Maandh Wai (Sindhi), and Nar Bait (Balochi) that draw upon the rich oral traditions of Pakistan. As a tribute to Daman, I hope that next year one of his poems is put to music, and that more of his work receives the attention that it deserves. More generally, we need to continuously engage with the “regional question” in the cultural domain, valuing in particular the extraordinary voices of seemingly ordinary poets. Thanks for this very thoughtful piece.Ustad Daman was a conscientious and witty Sufi with a progressive and libertarian outlook. Nosheen has surprised me by writing in an English paper (tribune.com.pk) about Ustad Daman, poet of an unfashionable language that is so berated by its own people that they wish their children would never be seen uttering a word of it. In thirty years times she would be writing about a poet called Faiz, of another language that the people then would be too embarrassed to teach their children as the only language in vogue would be the one in which she writes today. That is the way things are going. Punjabi is a language of masses, hence was unsuitable for the elite who adopted and pounded Qaumi Zuban onto every one and declared every other language as belonging to Ganwars. Bengalis broke away, Punjabis capitulated and the rest are somewhat resisting. Now that the majority of masses have adopted the “Qaumi Zuban”, it has become embarrassing for the elite and in a generation it would join the ranks of despised languages. Daman was a great poet but acknowledgement of greatness comes from media promotion, otherwise few gain repute outside the arena they recite in. Those who get published, are interviewed, whose poems are sung on media, get fame. Even mediocres get a boost if they have the right connections. Daman was a true dervaish; he spent his life in single room lodging, never struggling for wealth or fame, unlike socialist Faiz who lived in a bungalow in Model Town, the poshest area in Lahore and was well connected being the chief editor of Pakistan Times. No wonder in the era when local languages are actively suppressed and mocked, hardly anyone knows him. Are you aware that in his last days he was interviewed by PTV in detail but the program was never telecast even at his death because it was an Urdu program and Ustad gave answers to all the questions in Punjabi, an unforgivable sin! If prejudice had no role, how come that school children know poetry of Ghalib and Mir but not of Mian Mohammed Bukhsh, Baba Farid, Maulvi Ghulam Rasool and Bulhay Shah. 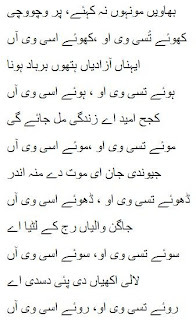 If Faiz’s greatness comes merely from his talent then how come no one remember his few good quality poems written in Punjabi? 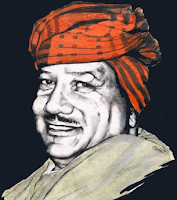 Ustad wrote for the people, for their freedom, for their aspirations. Calling him a “Punjabi Nationalist” is a disgrace. I have yet to meet some one who fits this definition. He wrote for Indian Independence when Faiz and Hafeez were employed in as propagandists in Royal Indian Army, strengthening the British drive for recruitment of cannon fodder for World War 2! 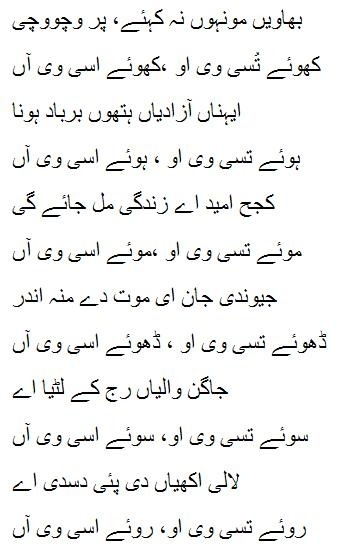 We can’t find a piece of poetry he wrote for Punjab’s reunion or against existence of Pakistan. His fault was that he was a well wisher of commoners and did not know how to go with the flow and extract favours from the rulers. He was against every exploiter of the people. His criticism of Bhutto resulted in him being implicated in a non bailable case of possession of a hand grenade! As for the calibre of the man; he was requested to live in India by a personality no less than Pundit Nehru himself. Daman for the love of his country declined to live where he would be under the wings of the most powerful man and rather preferred to live where he would be nobody! These comments were submitted in response to Nosheen’s article and subsequent reader’s comments to tribune.com.pk that chose not to publish these as perhaps these irritated the “moderator” of that site (an undeniable side effect of truth!). So I am trying my luck for expression of my freedom of speech here! Your expression is most welcome here! Thanks so much for the detailed comment. I wrote this post because I wanted to remember Daman in the year of his centenary, comment on his status vs. that of Faiz, and highlight the importance of understanding and celebrating regional poetry. But I also wish posts like these to be an opportunity for me and perhaps others for further learning on the topic. And comments like yours really help to fulfill that wish. The bit about the PTV interview that you mentioned is so sad. If you - or anyone reading this comment right now - has a copy of that interview, please do let me know. I'd love to listen to it, and then publish it with translation and further commentary. This interview was conducted by Naeem Bukhari for PTV 2-3 years before Ustad Passed away. I have forgotton the name of the program. It was of the sort in which after the interviewee, numerous people who knew him were also called on stage to comment on his acheivements. On Ustad's death the daily Jang, pointed out the existence of this interview to the public and asked PTV to show it out of respect to the Ustad but PTV is run by those who have neither courage nor vision, and with their inherent racist attitude they didn't give a jot to the request lest their delicate Qaumi Zuban might come to any harm. Naeem Bukhari is advocate of supreme court and can be approached via Supreme bar council Islamabad. He surely can point out in the right direction and certainly can enlighten about the talk taken place as well as other guests present and what they said about Ustad.